Fronius Energy Package offers a comprehensive and highly efficient package for maximum independence, which can be adapted to the owner’s individual needs. The Fronius Energy Package allows unused energy produced by a solar system to be temporarily stored in a battery. The result is maximum self-consumption of the excess power and maximum household independence. Excess solar power can be used at times when electricity supply conditions are poor or unavailable. With the optional emergency power function, the household can enjoy an electricity supply during power outages. 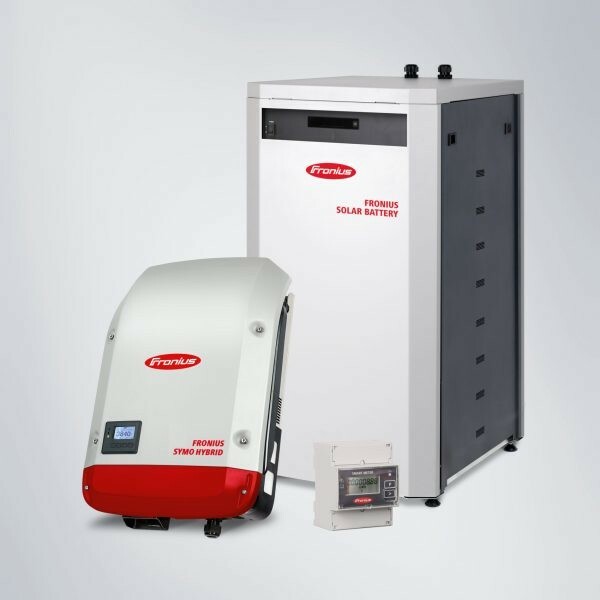 It is also possible to retrofit an existing PV system with a storage unit without having to connect a PV generator to the Fronius Symo Hybrid inverter. The Fronius Energy Package is therefore suitable both for new installations and when retrofitting storage devices into existing PV systems.